Leo Maria Shearing is a naturopathic nutritionist. 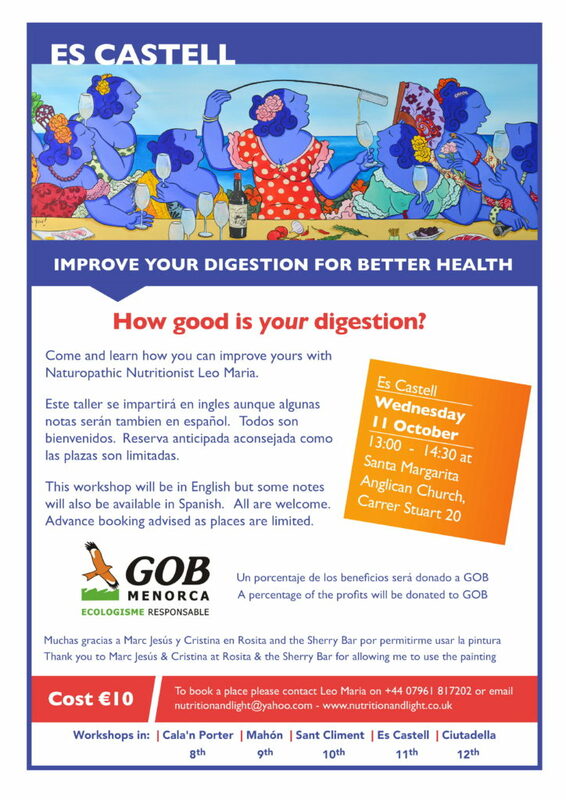 She is giving a series of talks around Menorca on ways to improve digestion to improve health. On Wednesday, 11 October, at 13:30, she will be giving her presentation at Santa Margarita, in Es Castell. To book a place, please contact the church, using the form below, or phone 617 222 382. On Wednesday, 18 October, at 19:15, she will be repeating the talk in the Sala de Vecinos, under the square in Cala’n Porter.